qualified instructors enrolled in the IVF and idoneii for teaching for all levels and ages. A tough selection to better ensure the highest professionalism and the magic of this sport. Get to know us and discover how much passion mattiamo in this work. 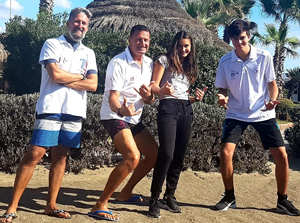 For us the teaching of Windsurfing and other water sports, is above all a passion to be a first job. You will not be left alone at any time and we'll be next to you to explain, describe and teach you everything you need to learn at their best during the course. All this and much more, always made ​​up from our school. For novice windsurfers and adults. Paolo is always a guarantee. 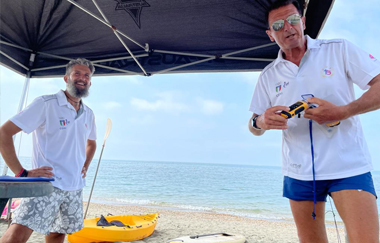 Paolo Paciacconi Windsurf, SUP e KayakF.I.V. The first instructor of our school. 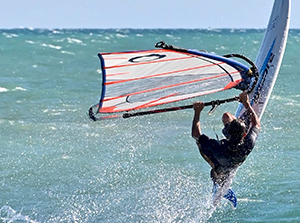 Great expert windsurfing, carries this work for over 35 years, also teaching in schools of IVF and at many private clubs. For children and teenagers. Massimo will follow them in every way! 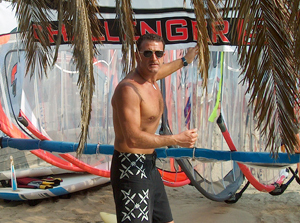 Massimo Malaspina KidWindsurf & SurfF.I.V. The "Dad" of all children. 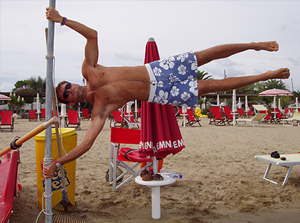 With 30 years experience in sailing and windsurfing, has a great passion in transmitting these disciplines. He'll follows the kids into the sea. For the baby and the kids education students. Medical support. 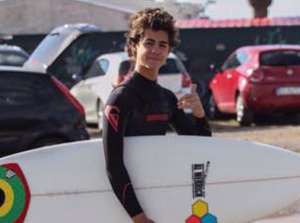 Michael Marzella Surfer e MedicalF.I.V. Beloved by most adults for its qualities of patience and fun. All the boys want absolutely to Dr. Michael to learn and fun to play with the kayak or SUP Windsurfing. Foreign intermediate windsurfers and adults. David is will evolve. Davide Botturi Windsurf, SUP F.I.V. Instructor of our school abroad. He is fluent in 3 languages ​​and will explain how to learn the secrets of sports with theory and practice, backed up by technical videos. For advanced and for those looking for the best performance. 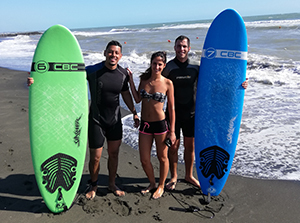 For true Surfers and who want children's formation with quality. Valerio Barbarossa SURF & TechSURF Co.
SURF at 360 degrees. Valerio will perform the most difficult maneuvers without neglecting the many moments of joy running on the waves. Especially suitable for freestyle and wave.